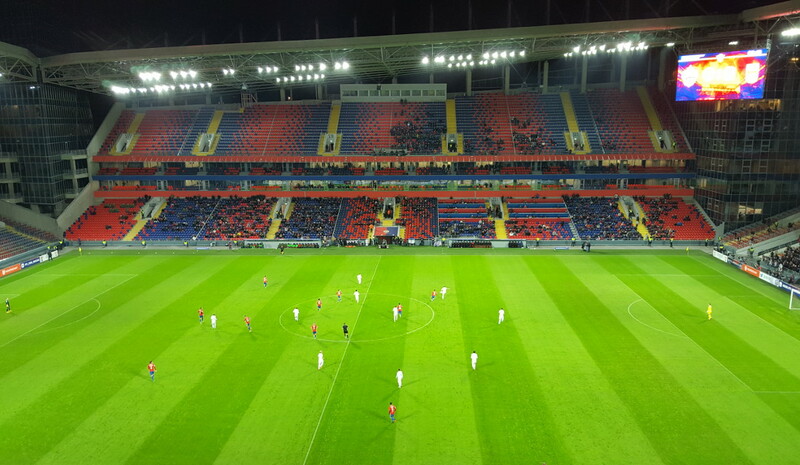 The Arena CSKA is the recently opened new stadium of CSKA Moscow. 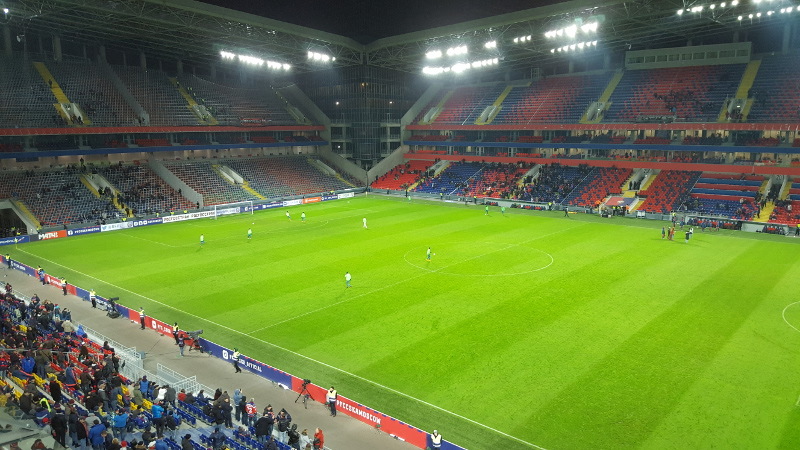 It is the first permanent long-term home of the club, having moved around various venues in the city of Moscow without settling. The first stone was laid in May 2007, however not much later works got halted due to legal and financial problems. Works then resumed for short periods of time, but only little progress was made until 2014, when construction finally sped up. 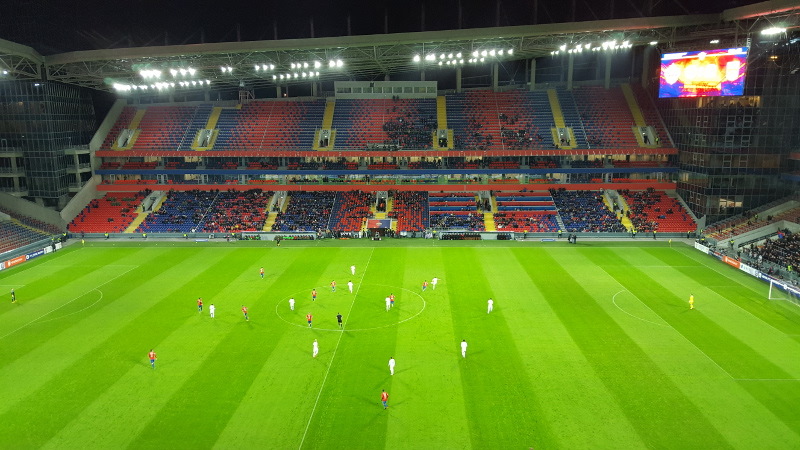 The Arena CSKA officially opened on 10 September 2016 with a league match between CSKA Moscow and Terek Grozny (3-0). 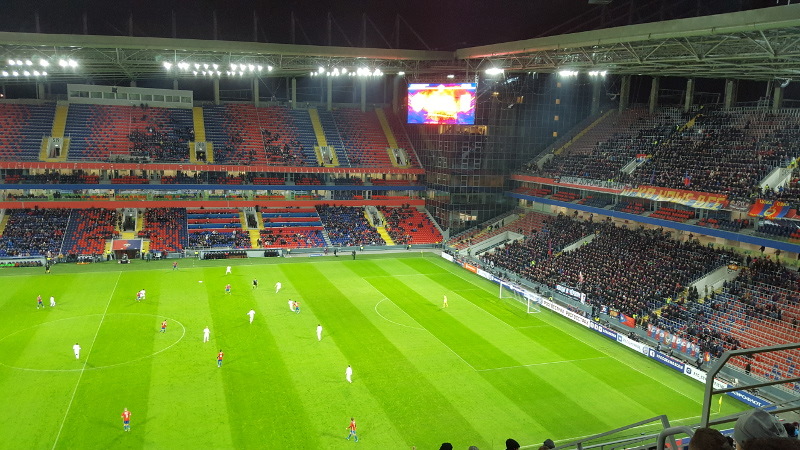 The most characteristic feature of the Arena CSKA is a tall office building in one of the corners that resembles the UEFA Cup the club won in 2005. 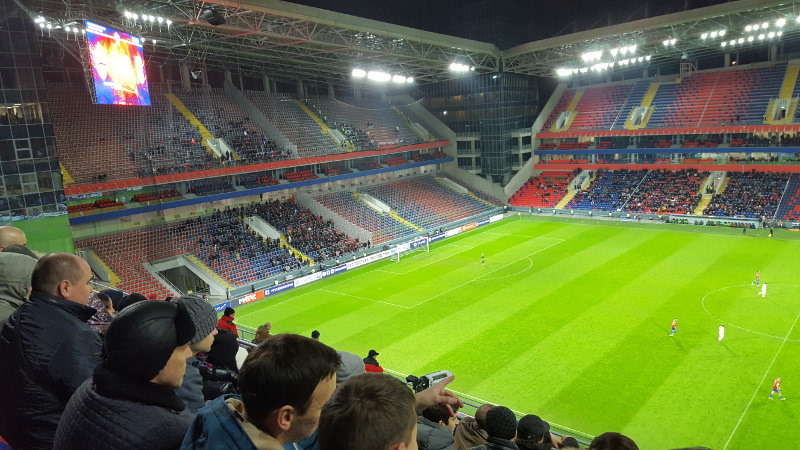 The Arena CSKA is located north-west of Moscow’s city centre, roughly 8.5 kilometres from the Red Square and 5 kilometres from Belorussky train station. The nearest metro stations are Sokol and Aeroport on the green line 2. From both it is an approximate 20-minute walk, though the stadium is easier to find from the former. The green line can, among others, be caught from stop Teatralnya near the Red Square. An alternative is catching the purple line 7 to stop Polezhaevskaya, from where it is a similar 20-minute walk. 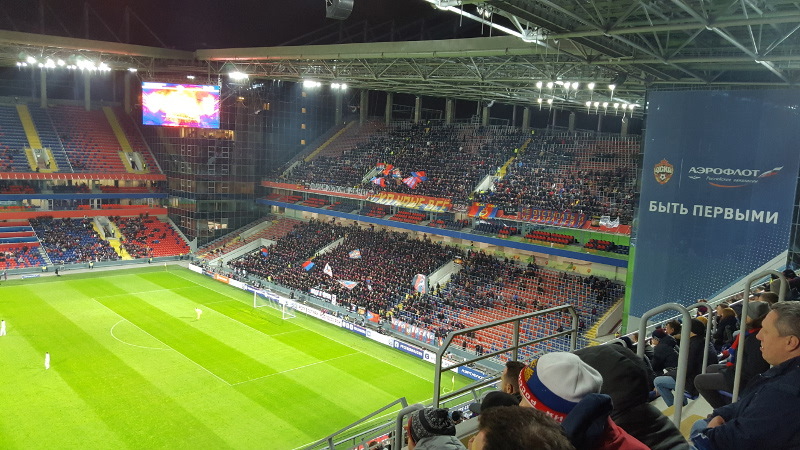 The Arena CSKA lies in an area that is mostly a mix of quiet residential streets and, on its southern side, a newly developed area of office and apartment flats, including a number of restaurants (and a Yorkshire pub). There is also a new large shopping mall with a food court and a number of chain restaurants a short walk away if you’re in need of some food. There are furthermore a number of restaurants on Leningradsky Avenue near Sokol metro station. If you wish to stay close to the Arena CSKA, then ART Hotel will be you pick as it’s literally next door to the arena. It gets good ratings and has a beer garden. There are more hotels in the area though in various price brackets, including the basic CSKA Hotel, the luxurious Triumph Boutique Hotel, the affordable Hotel Sokol, and an Ibis for those who prefer chain hotels. Click here for an overview of hotels near the Arena CSKA or here to browse all hotels in Moscow. 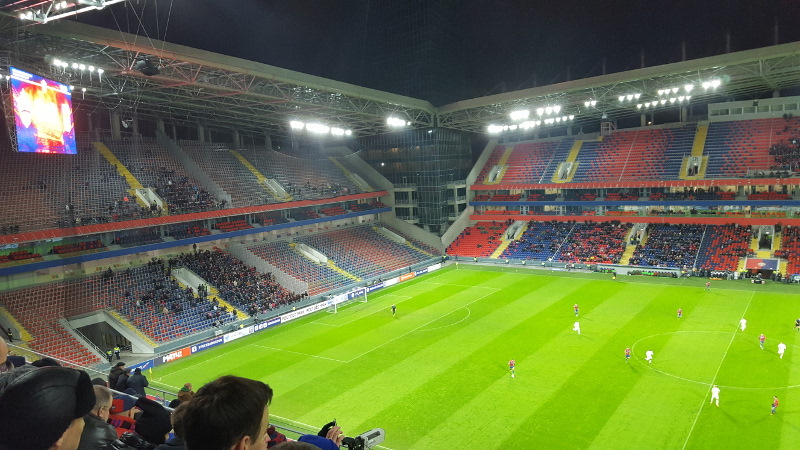 CSKA Moscow tickets can be bought online, or at the ticket office at the Arena CSKA, usually from a week before the match. Tickets can also be bought at the stadium before the start of the match. 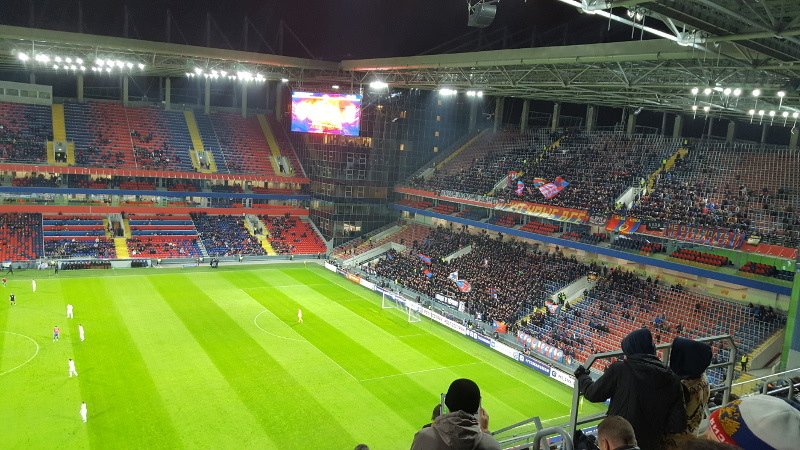 CSKA Moscow rarely sell out, though for the local derbies it is advised to buy in advance. 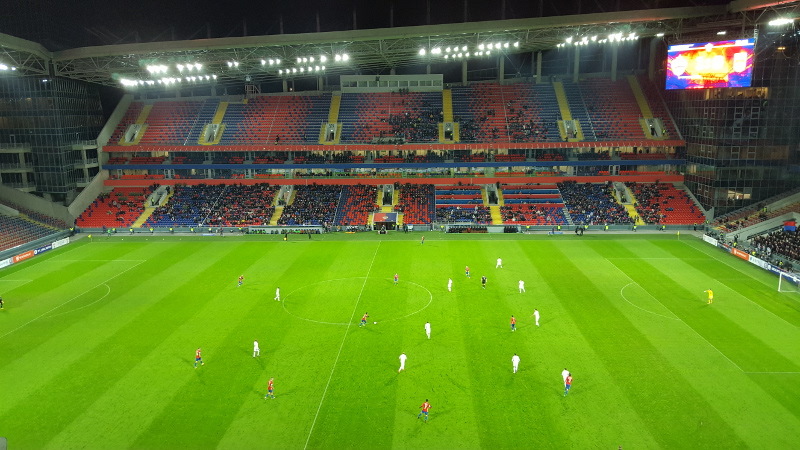 Pfc-cska.com – Official website of CSKA Moscow. Moscow.ru – Moscow international portal.